If you're planning to attend ILTACon 2018, please stop by and see us at Booth 725. We will be discussing document management: strategy, perspectives, and innovation. With a lengthy presence in legal, we have the expertise to streamline your DMS Initiatives. See you soon! BTW, if you're not making the conference this year, let's talk at a time of your convenience. We'll have lots of good insight to share when we return from ILTACon! 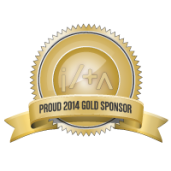 Another successful year at ILTA's annual conference is in the books! Like every year, it was evident all the attendees and exhibitors were excited and ready to take part in all the conference had to offer! EIM’s President, Peter Lieber, was once again invited to speak as part of a panel during the session “Making your DMS More Useful”. Peter was joined by John Green of Baker Donelson and William Tomlinson of Leitner Williams to discuss the advantages and best practices of a DMS. Peter also served as a moderator during the session "Privacy Laws and Enterprise Content: Can Your ECM Systems Facilitate Compliance?" We had an amazing time catching up with old friends, meeting new ones, and taking part in all of the conference's planned activities, including the Comicon themed opening reception! Can't wait for next year! 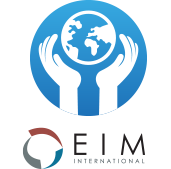 EIM International is excited to announce we have joined NetDocuments channel partner program. NetDocuments is a full-service provider of document and email management in the cloud. Through the partnership, EIM will be able to deliver this next-generation thinking to customers. The cloud-based service provides organizations: the ability to reduce costs and increase productivity with client, matter, and project centric workspaces; enterprise search; built-in disaster recovery; and anytime, anywhere, any-device access to their documents. Read the full press release here. EIM's custom File Export utility is now available. It allows administrators to effortlessly file and copy large numbers of documents and their metadata from eDOCS. What was once a tedious process can now be made simple with this utility! Admins can extract these documents in unattended mode and all activity is recorded in the activity log. Watch here to learn more! EIM and Contentworker have partnered for a webinar on July 23 at 1:00PM EST. Contentworker extends SharePoint into a powerful, modern and intuitive matter centric, document and email management solution. Its interface uniquely works from inside the native SharePoint interface, and allows users to take full advantage of all the available collaboration, social and calendaring tools. Register here to learn more about Contentworker's features and to see the product in action! Wireless DMS Version 2.3 is now available available. The new version includes many new features including version support and changes for eDOCS 10. All customers who have an existing WDMS Device Server license and current software support are eligible to download and install this upgrade. Read more of the features here and contact EIM to get your upgrade started! Contentworker has announced the availability of a Contacts functionality in a new release of the product. Although designed primarily as a document management system, Contentworker’s architecture allows for the addition of other case/matter management functionality. With the new release, users can now add Contacts to a matter such that they can be integrated with the document management functionality. Read more here. EIM would like to congratulate Ridge Marketing, a full service advertising agency, on their American Graphic Design Award for Web Design from Graphic Design USA magazine. They received the award for the redesign of our website! Ridge chose bridge and architectural photography for our abstract angles and as a metaphor for EIM bridging gaps in information within our clients’ organizations. Congratulations to everyone at Ridge Marketing!